The direct oceanfront Moontide condos in New Smyrna Beach were built with your comfort and leisure in mind, while elevating your luxurious lifestyle to the next level. 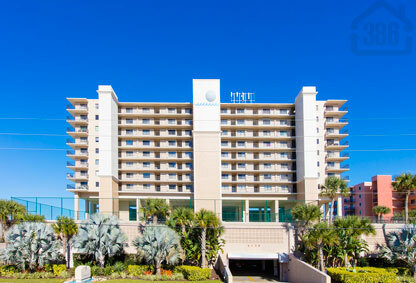 This lavish condominium consists of two buildings: a five-story building with a rooftop pool and an eight-story building overlooking the beach below. Moontide is located on a “no-drive”section of beach enabling you to relax and spread out on the beautiful beachfront outside your backdoor. Moontide has two pools, a two-story secured parking garage, a shuffleboard court and tennis court all bolstering your new lifestyle in New Smyrna Beach. Call us today to explore Moontide condos or any of the other amazing oceanfront condo options in our Central Florida home.